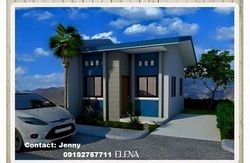 Live the good life in Pontevedra, Negros Occidental, where comfort privacy and security are at its best, and where everything is accessible. Villa San Miguel is the first, and the only residential subdivision in Pontevedra Negros Occidental. A symbol of privacy and comfort you want for your Family. - Only 3 to 5 minutes to Pontevedra Municipal Hall. Schools, Churches, Public Market, Marayo Bank and Commercial establishment. - Ample water supply by Pontevedra water district. We also sell Pontevedra Lots.